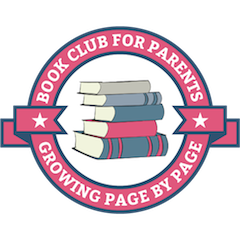 This is guest post from Tanja Mcilroy of Empowered Parents. Parenting is all about raising children to be the best versions of themselves and going confidently into the world of adulthood. The early years are the best time to start teaching independence. Since children do what you do, not necessarily what you say, you are their primary model and your actions speak louder than your words. You cannot simply teach children about independence, but by making certain habits part of your family life and part of how you go about your day, your children will naturally follow your lead and learn from your values. Here are 8 simple ideas you can incorporate in day-to-day life to foster independence in young children. One of the characteristics of independence is the ability to make decisions and to deal with the consequences of them. Although small children are too young to make all their own decisions, they are not too young to be presented with some options and asked to choose. Offering too much choice can be overwhelming. Ask your 3-year-old “What would you like to wear to school today?” in the middle of winter and she is bound to choose a summery dress or superhero outfit she has worn for the last 7 days in a row. But offer a choice between a winter dress or a top and pants combo and she may then make a conscious choice of which she’ll be more comfortable in or which she prefers. These options can be given for playtime activities, mealtimes, outings, chores etc. Is your child able to feed himself? Tie his own shoelaces? Button or zip his own coat? Carry his own bag to class? Do you often find yourself doing these things? It may save you time, or it may be done as a caring gesture, but the biggest gift you can give your child is to let him feel capable of taking care of himself. It might take 10 minutes of patience as you watch him tie shoelaces but in time he will become competent and much faster at these tasks. One of the best places to learn about independence is at home. Your child needs to understand that to keep the family happy and the home a healthy place, everyone who is part of the family does their little bit to help. Chores should not be seen as a punishment, but rather as everyone being responsible for their piece of the puzzle. 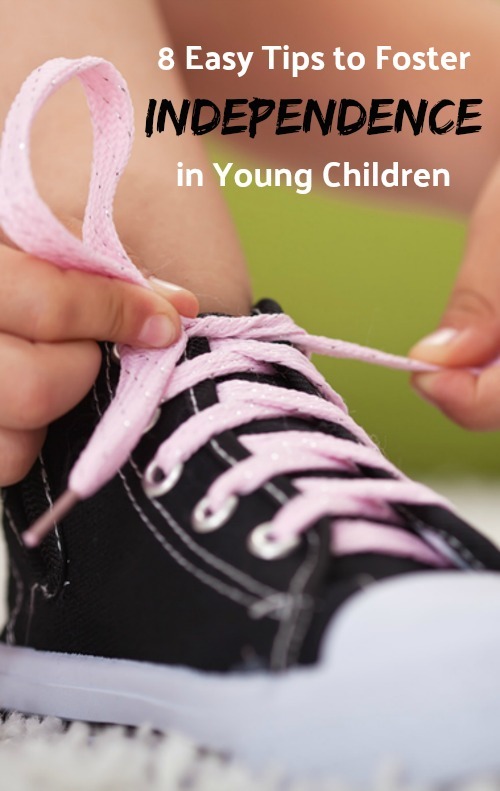 This not only gives children confidence because they are contributing, it also teaches them to value when someone has put effort into doing something for them, such as washing their clothes, preparing a meal or tidying up. Children who do chores don’t grow up with a sense of entitlement. Chores should be age-appropriate – small children should have simple, light chores and they can increase slightly with age. I love Chelsea’s take on naming chores family service – it is a great way of making your children feel like part of a family who help each other. While the point above refers to general household chores that help the family, this point is about your child’s space – such as her bedroom and toys. From an early age, encourage your child to always pack her own toys away, pull her duvet straight on her bed and keep her bedroom neat. This is her own private space and she should feel proud of it. You can help your toddler but as she gets older, she can take on most of the responsibility herself. Picking up this habit early will help your children to look after their belongings at school, and keep their desk, school books and stationery neat and in order. As a teacher, I found that some parents spent far too much time at school. They would walk their child in every day, carry their bags, settle them in, watch them play for a while and then begin the painful process of hugging them tearfully to separate and say goodbye. This would always send a clear message to the child that school was not really a safe place, but rather a time they would be separated from their parents. Other children would struggle with separation for a few days at the beginning of the year, then soon realise school was their happy place, and they would run in excitedly every day. It’s important to allow your child to have their time away from you, with their own friends, and feel ok with that. School should be your child’s territory and they should trust that you know they are safe and happy there. Speak positively about school and use these tips if you are struggling with separation in the mornings. When your child has a friend over to play, it can be tempting to plan the afternoon and fill it with crafts, outings or other activities you have prepared. This is totally unnecessary. 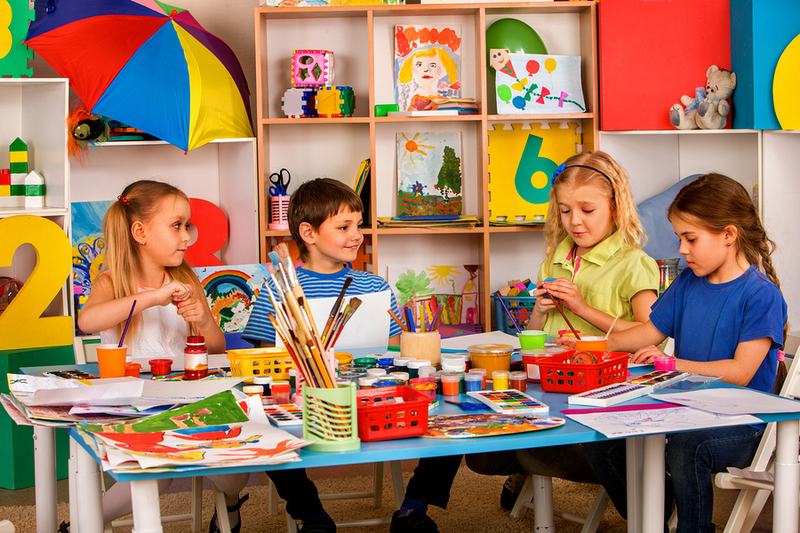 Playdates are a great opportunity for your child to learn social skills and problem-solving. Part of this is letting the children entertain themselves and think of games and activities to do together, and even letting them solve minor disputes independently. Your home will turn into a highly creative zone if you let things happen naturally between friends. They will inevitably start engaging in dramatic play, games, outdoor fun and their own art activities. The only time you need to check on them is when things get too quiet! otherwise, trust that your child can look after his friend. In order to develop fully, children need lots of time to engage in free play every day. This is play that is completely planned and chosen by your child and does not include activities outside the home or any games or crafts initiated by a parent. There is a place for adult-guided activities, but your child needs blocks of time when they can be free to choose how to spend their time and solve their own problems as they encounter them. Much learning takes place during this kind of play. Last but not least, talk to your child often. And listen! Talk about what they are doing, what they have done, how they spent their day, what their wishes are and how they are feeling about things. To be independent, children must feel valued and know that their opinions matter. You can help them build this confidence by always being available and listening to them. Ask for their opinions and talk to them about actions and consequences. Open communication makes children feel secure and gives them the confidence to spread their wings and make their own mark on the world. Thanks Tanja for sharing your awesome tips with the Moments A Day community! Feel free to leave your comments below. Thanks for all the great tips in this article! We have a two-year-old and are working on a lot of the things mentioned above. However, we’ve been trying to navigate the world of self-play for awhile. Any ideas how long she should be expected to do some type of free play on her own at this age? She does play with her toys and work on activities, but much of the time she’s asking us to play with her. We love spending the time with her, but I don’t want to become a crutch for imagination and development. Any ideas? The biggest one for my kids was choices, at first they seemed overwhelmed but now love making their own decisions.